The history of storytelling as illustrated by the Routledge Encyclopaedia of Narrative Theory shows that as far back as the likes of: Chaucer’s Canterbury Tales, The Arabian Nights, Edgar Allan Poe’s Fall of the House of Usher and Tolkien’s Lord of the Rings and The Hobbit, narratives are framed from various narrator perspectives either through the devices of flashbacks and flash-forwards; stories within stories; or simply changing the narrator. In regard to stories within stories my first clear memory of such a framing device was in Shakespeare’s Hamlet. In the drama the Danish Prince attempts to shock a confession from his Mother and Uncle by getting the players to re-enact his father’s murder within their own play. Conversely, films within films have been a staple too of Hollywood and non-Hollywood film productions. 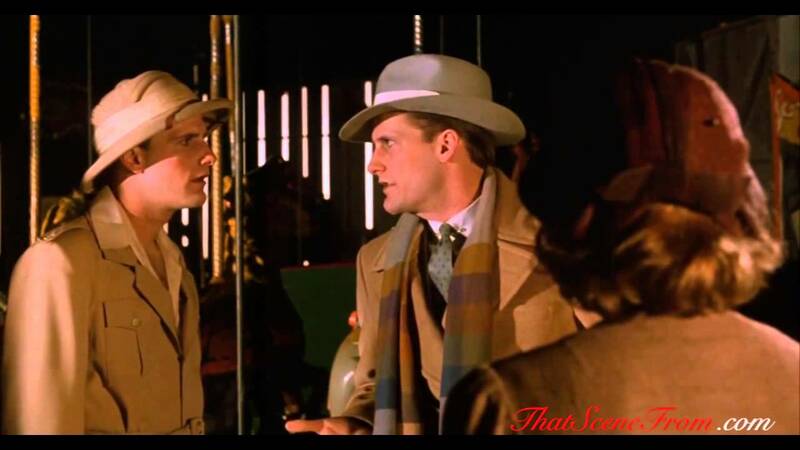 Examples include: the classic musical Singing in the Rain (1952); Truffaut’s Day for Night (1973), Altman’s The Player (1992) to name but a few, are examples of filmmaking actually being the subject of the movie. As storytelling has further evolved, Harold Pinter’s adaptation of The French Lieutenant’s Woman (1981) shows both events of John Fowles original text, but at the same time, the author of the novel involved in a love affair thus reflecting events of the book. Lastly, postmodern films such as: The Purple Rose of Cairo (1984) and The Last Action Hero (1993) even have characters from the on-screen cinema world enter the “real” world and vice versa. Narrative, postmodern and semiotic theorists gather plays, stories and films which quote from other texts under the umbrella of meta-fiction. Indeed, many studies, including those by post-structuralists Julia Kristeva, Gerard Genette, and subsequently by academic Daniela Casellis, assert intertextuality or meta-textuality is a shaping of a text’s meaning by another text, as well as a production within texts. Meta-textuality often involves: allusion, quotation, pastiche, parody, homage and translation. It also enables the writer or director to differentiate their product and make it somehow fresh and contemporary. For example, Quentin Tarantino’s characters, while fictional, will make all kinds of references to: television shows, films, characters, hip-hop music and even fast food joints because that’s what real people talk about every-day. While his films themselves work on a meta-textual level within: War, Westerns, crime thrillers, Kung Fu and many other genres, his characters exist in the now with their strong knowledge of popular culture. While meta-textuality is a complex cultural theory with many different strands, I have identified four interconnecting levels within texts such as films and television. The first level of meta-textuality is structural. Incorporating flashbacks, dreams, imagination, narration and other textual framing devices, structural meta-textuality allows the filmmaker to play and bend linearity to create a fascinating means of telling a story. Moreover, it also asks the audience to question the very nature of storytelling itself. A simple example of structural meta-textuality is in The Princess Bride (1987) where the wonderful fairy-tale stories are based around a Grandfather telling his sick grandson tales of adventure and romance. More complex is Christopher Nolan’s structural representations. His early noir classic Memento (2000) is famously told in reverse chronological fashion, thus subverting the very nature of linear storytelling. His anti-hero, Leonard Shelby, has no means of making new memories thus via tattoos and Polaroid photos he constructs a present day movie of his own life in visual form. As the story unfolds we flash back and forth to a film within a film about a character called Sammy Jankis. Yet it turns out that Sammy is an imagined character used to suppress a terrible event in Leonard’s life and the film within a film is in fact the imagined vision of an unreliable narrator. This second level is diegetic meta-textuality. This, on a basic level, refers to texts within texts which while featured within the story do not really comment on the text. These could involve the characters visiting the cinema, reading a book or watching a television show. The third is thematic meta-textuality where the texts within the texts directly impact the narrative, characters and themes. For example, any number of films about filmmaking or film distribution process could be classed as thematically meta-textual. Cinema releases such as: the Scream (1996) franchise, Bowfinger (1999), Boogie Nights (1997), Ed Wood, Living In Oblivion (1995), State and Main (2000), Berberian Sound Studio (2012), The Disaster Artist (2017), to name but a few, are great examples of films about filmmaking which exhibit thematic meta-fictional tropes. 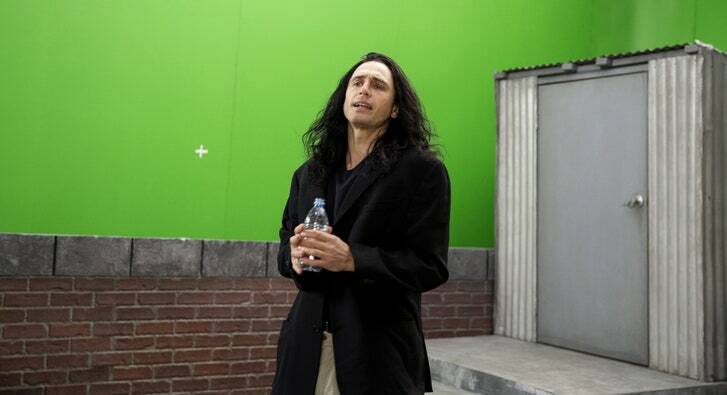 The Disaster Artist (2017) takes great delight in paying homage to Tommy Wiseau’s The Room (2003); a film which is often hailed as one of the worst ever made. The film shows how Tommy Wiseau came to make The Room (2003) and the disaster he encounters. Meta-textually, comedically and entertainment-wise this film is a highly satisfying cinematic experience. Even as the credits roll the sequence which shows scenes from The Room and re-enactments from The Disaster Artist are a joy to behold. Also thematically strong is Scream. It is especially clever because the characters are aware of the fact they are under threat and attempt to avoid death by making reference to various horror film tropes. Likewise, Tarantino’s uber-meta war film Inglourious Basterds (2009) features the fictional film Nations Pride, which both satirizes the German propaganda machine and the violent nature of war films in general. Tarantino is so obsessed by cinema that his wish fulfilment bloodlust even sees the Nazi hordes burned and shot down in an actual cinema. The final level is emotional meta-textuality. This idea is slightly more open to interpretation because one could argue that all aspects of storytelling are intended to illicit emotion in the audience. However, I am referring to films where the meta-fictional aspects have a deep emotional or dramatic impact on the characters. Such examples include the intriguing Will Ferrell dramedy called Stranger Than Fiction (2006). Ferrell portrays Harold Strick who suddenly finds his life is being narrated by an omniscient storyteller, who turns out to be Emma Thompson’s author. Here the narrator is presented as a God-like power dictating what she thinks is a fictional character in Strick. Ultimately, fiction and the “real” world collide in an emotionally satisfying meta-textual story of discovery and mid-life crises. Similar, but even darker in its representation of emotional meta-textuality is Tom Ford’s adaptation Nocturnal Animals (2016), from a novel by Austin Wright. Here Amy Adams character, an Art gallery owner is sent a novel by her former husband, Jake Gyllenhaal. As she reads the manuscript a film within a film opens up which shows events that symbolise the wrongs he feels she has done to him. In the final revelatory scenes the emotional impact is damning to her life decisions and she is left alone, in the dark, with her own guilty thoughts. In keeping with historical and literary modes of storytelling many films will deliver their stories in a meta-textual fashion using structural, diegetic, extra-diegetic and emotional methods. Furthermore, some films will utilise these all at the same time. One such screenwriter and filmmaker is Charlie Kaufman. His works such as: Being John Malkovich (1999), Eternal Sunshine of the Spotless Mind (2004) and Adaptation (2002) offer mind-blowing meta-textuality. Adaptation, starring Nicolas Cage, for example, features a screenwriter called Charlie Kaufmann trying to adapt a book called The Orchid Thief but suffering writer’s block. Instead he begins to write a screenplay about a screenwriter struggling to write an adaptation of The Orchid Thief. Did he I also mention he has a twin brother called Donald who is also a screenwriter. Now, I could begin to analyse Adaptation but that would be a whole different story within and story within a story. . .